Sometimes, all the Goodwill has in stock is in the tier of hideous “collectible” figurines with menacing expressions and missing limbs. At others, their appraisers have gotten ambitious, and there is a mountain of cool stuff in stock, but only because it is priced beyond the limits of even the harshest hipster markup. Fairly regularly though, there’s something neat among the picture puzzles and church retreat souvenir tumbler glasses. 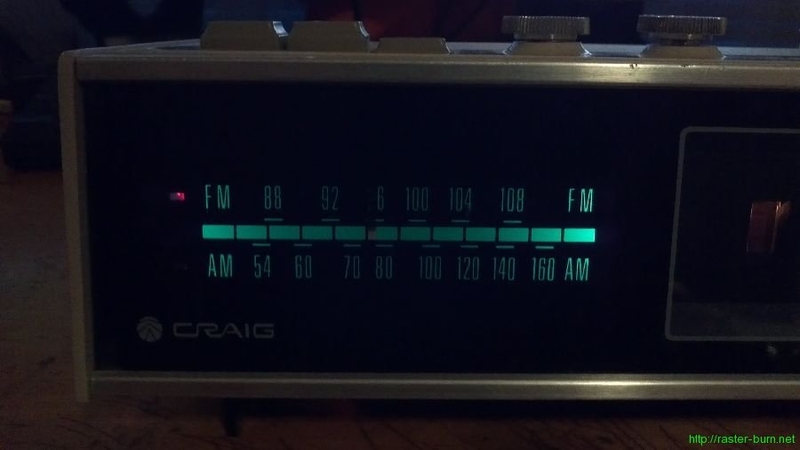 It’s a Craig model 1605 clock radio, manufactured by the Sanyo Electric Company. The clock function doesn’t work, which is typical. Usually the motor is burned out or the gear train is damaged somehow. I’ve only run into a few that have worked when I tested them in the store, and of those the one that stayed running the longest lasted under a year. 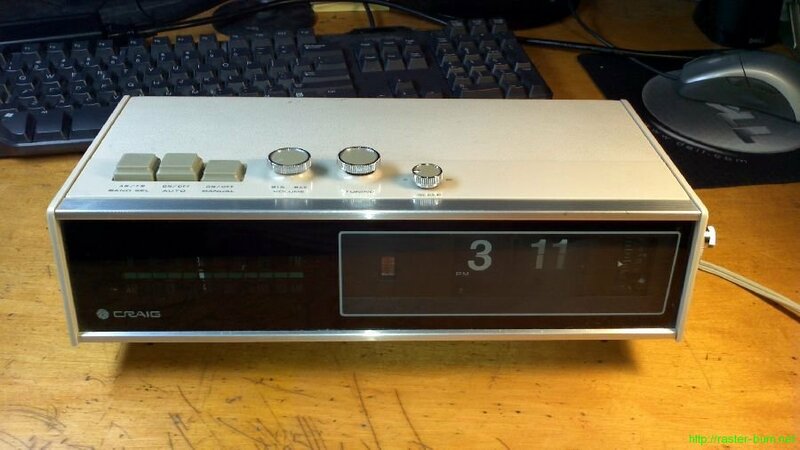 It’s a very cool looking unit, and while the clock doesn’t work all the other functions do, and it has an output for external speakers. 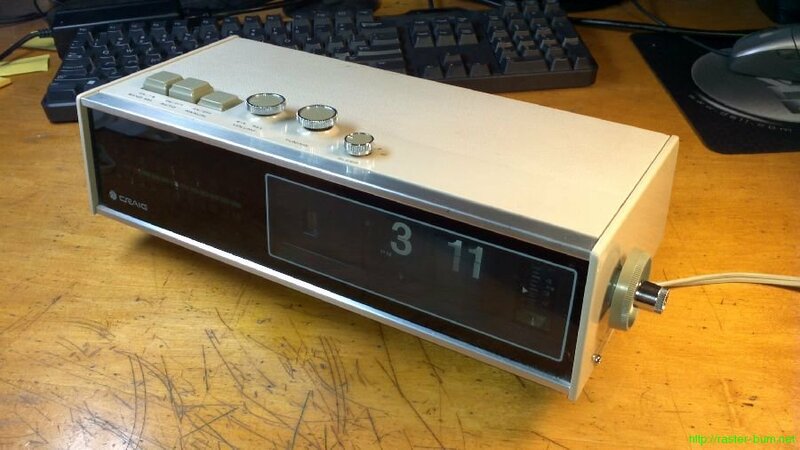 I’m going to use it as an FM tuner for my stereo for now. I’ve been collecting old flip digit clocks for a while now since they’re still common enough that broken ones are cheap even for the rarer designs. What I’d like to do in the future is replace the fragile motor and gear train with a computer controlled servo to actuate the flip digit display. I’d love to be able to use one of them daily and not have to worry about when it will inevitably fail and leave me late for work or something. I also found this neat old thing at Free Geek for two bucks. I bought it mostly for the old school Apple logo sticker on top but I’ll probably use it as a switch box for some stuff in the garage. 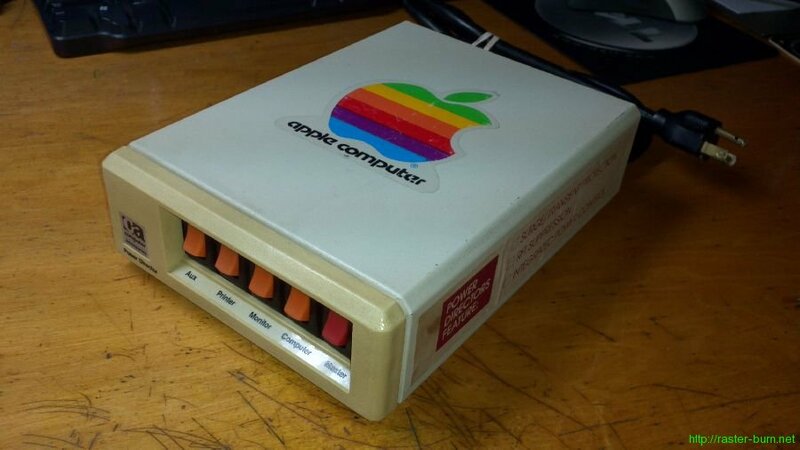 I remember having something similar for my Apple IIE at some point, way back when.